I don’t know about your attention to detail, but frequently, my spouse will read something in the paper that “so and so“, of some fame, has just expired. Typically, I will respond with “I thought he/she was already dead”. Well, after an American newspaper mistakenly published his obituary, Mark Twain quipped “The reports of my death are greatly exaggerated“. Now, to the point. 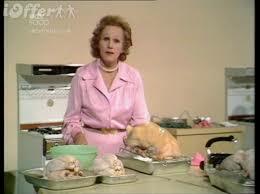 Whatever happened to Fanny Cradock? 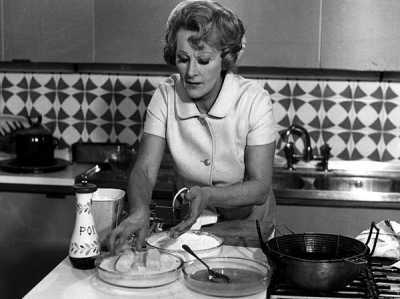 For those of you (like me), you might never have heard of Fanny Cradock. I had not, until fairly recently, when I was researching something for another post and images and stories of her popped up across the world-wide web. Thus, I began thinking about all of the other Fanny Cradock types, who were famous (some, infamous) in the cooking realm in their heyday and pondered if any of them were still among the living. Thus, this post. 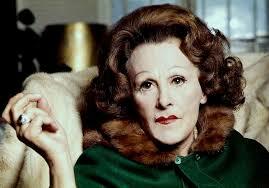 According to Wikipedia, Fanny Cradock (born Phyllis Nan Sortain Pechey) was born in Essex, England in 1909. She was variously an English restaurant critic, a TV celebrity chef (long before the notoriety of such chefs), and a writer. She frequently appeared on television and conducted cooking demonstrations. In 1955, she recorded a pilot for what became a very successful BBC series on cookery. She, with her husband “Johnnie Cradock”, wrote a column in the Daily Telegraph from 1950 to 1955, under the pen name “Bon Viveur” and she introduced unusual European dishes to her audience. Apparently, she led a colourful life and as she grew older, she applied more and more make-up and usually sported elaborate chiffon ball gowns during her cooking demonstrations. Fanny went to that great food place in the sky in 1994 at the age of 85. 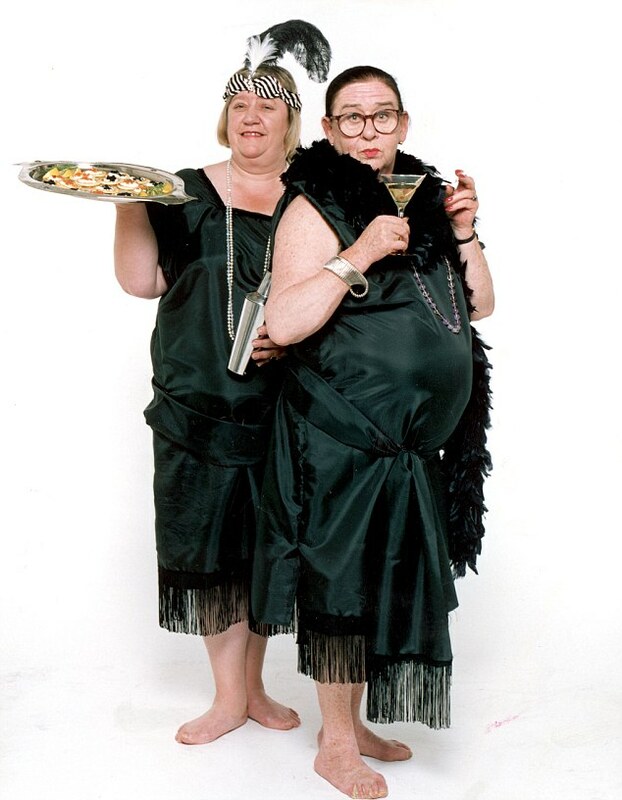 Those of us, who were greatly amused (and bemused) by the “Two Fat Ladies” of television and cookbook fame in the mid 1990’s might wonder “whatever happened to…” Clarissa Wright and Jennifer Paterson. Clarissa, born Clarissa Theresa Philomena Aileen Mary Josephine Agnes Elsie Trilby Louise Esmerelda Dickson Wright (whew!) in 1947, was not only an English celebrity chef but was also a writer and a former barrister (read: lawyer). 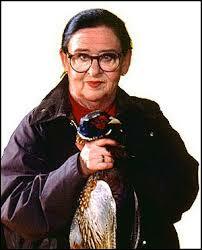 Her sidekick, Jennifer Paterson was born in 1928 and passed away in 1999. 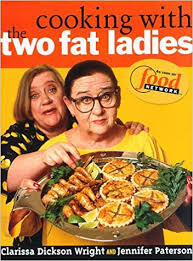 The two co-authored a number of cookbooks including “Two Fat Ladies: Gastronomic Adventures” (1996), “Cooking with the Two Fat Ladies” (1998), “The Two Fat Ladies Ride Again” (1998), “The Two Fat Ladies Full Throttle” (1999) and “Two Fat Ladies – Obsessions” (1999). 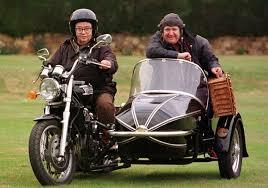 In filming their series “Two Fat Ladies“, the two travelled to their filming locations around the country on Jennifer’s motorcycle, with Clarissa occupying the sidecar. They were known for their recipes featuring a rather heavy-handed approach with butter, lard, and sugar. As Clarissa was fond of saying “Never trust a thin cook“. She died in 2014. Some of you, like myself, “of an age“, might be familiar with other “whatever happened to...” chefs: Simone Beck, Ken Hom, Madhur Jaffrey, Graham Kerr, Martin Yan, and Rokusaburo Michiba, to name but a few. 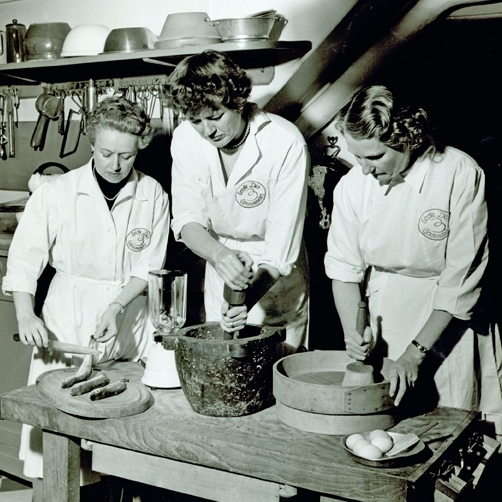 Born in 1904, Simone Beck is best known in America because of her collaboration in writing “Mastering the Art of French Cooking” in 1961, with Julia Child and Louisette Bertholle. 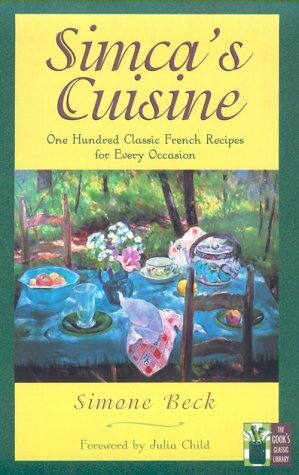 “Mastering the Art of French Cooking, Vol. II” (without Louisette Bertholle) followed in 1970. Child, of course, became a successful television chef in the United States, while Beck continued her teaching practice at home in France. 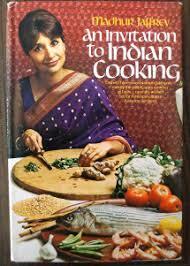 In 1972 she published her own cookbook, “Simca’s Cuisine“. 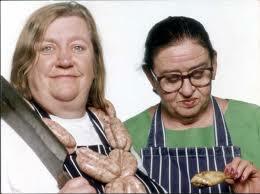 Her autobiography and last cookbook (with Suzy Patterson), was published in 1991, the year she died. 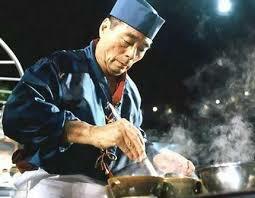 In 1982, after a 2-year global search, the BBC auditioned Ken Hom for a Chinese cookery series. According to Wikipedia, the resulting TV series “Ken Hom’s Chinese Cookery” was a huge success and the companion book became one of the best-selling cookbooks ever published by BBC Books, selling more than 1.5 million copies. Today after numerous printings it still remains in print. 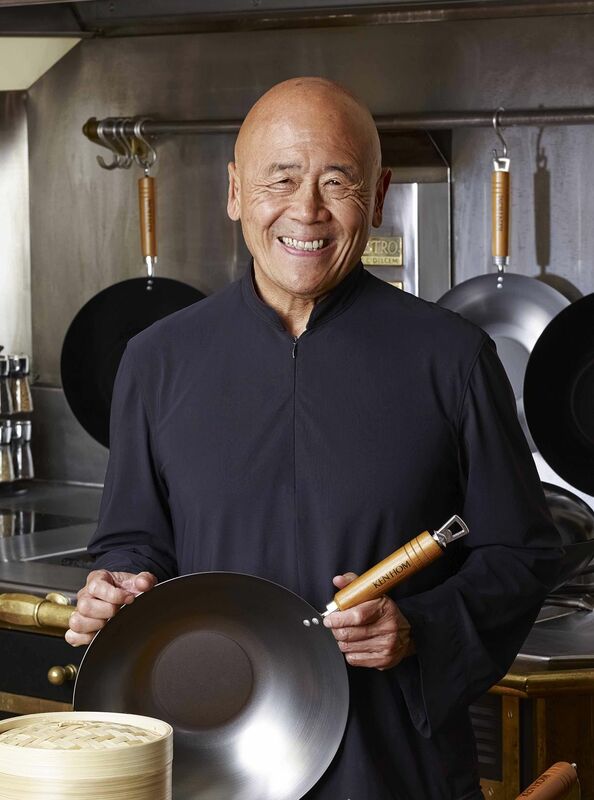 Mr. Hom, born in 1949, has appeared in numerous BBC series and in 2012, he co-presented the BBC series “Exploring China: A Culinary Adventure” with Ching He Huang. Since 1981 he has authored many cookbooks, including “Chinese Technique“, published in 1981 and “My Kitchen Table: 100 Easy Chinese Suppers“, in 2012. 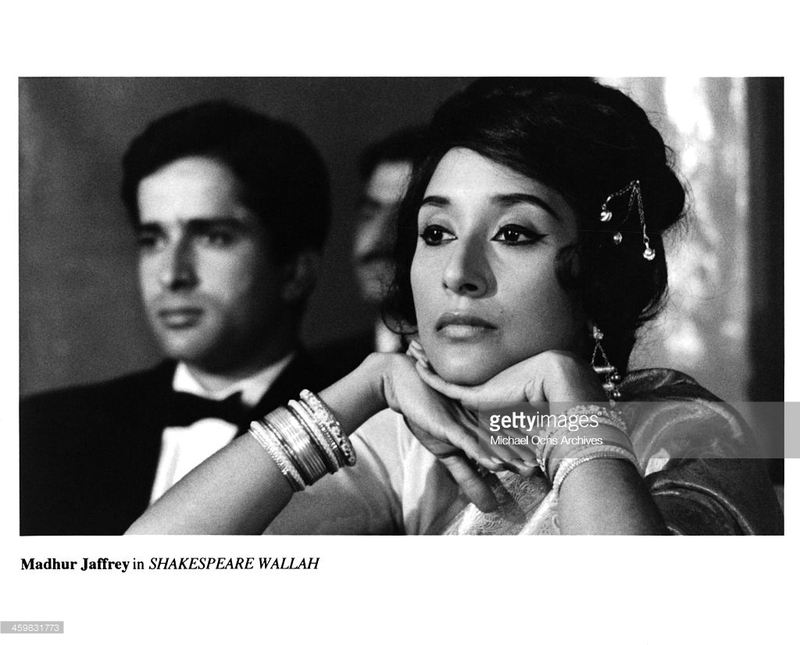 Madhur Jaffrey, born in 1933, started her career as an Indian-born actress and later blossomed into a food and travel writer and television personality. She brought Indian cuisine to the Americas with her first cookbook “An Invitation to Indian Cooking“, published in 1973, which was inducted into the James Beard Foundation’s Cookbook Hall of Fame in 2006. 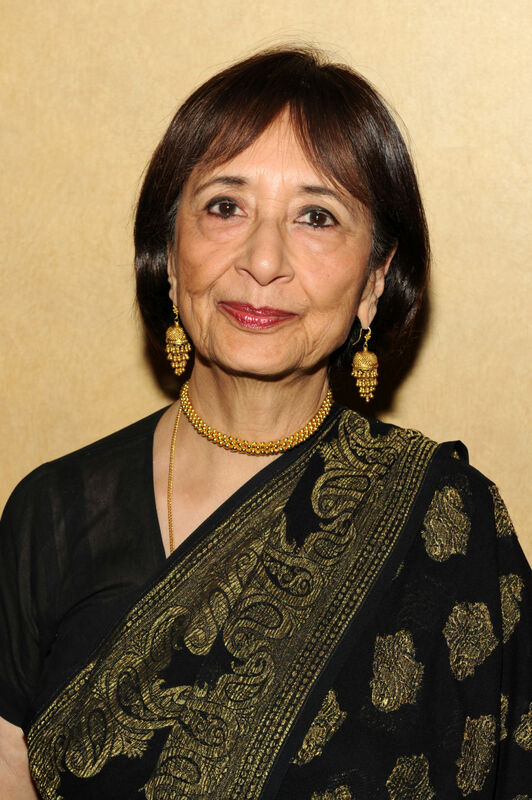 She has authored more than a dozen cookbooks and has appeared in the notable “Madhur Jaffrey’s Indian Cookery” television program, which began in the UK in 1982. She continues to be a food consultant. 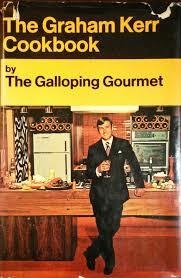 Most foodies will remember “The Galloping Gourmet“, aka Graham Kerr. Born in London, he made several moves over the years, first to New Zealand, then to Australia, and finally, Canada. While in New Zealand, in 1958, he became chief catering advisor for the Royal New Zealand Air Force. 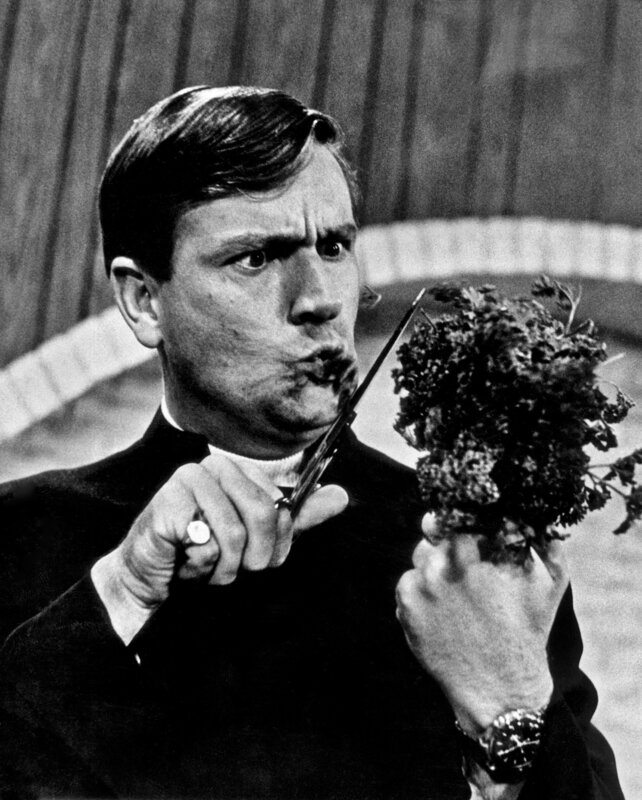 It was during his tenure in Canada that he hosted “The Galloping Gourmet“, from 1969 to 1971, which was a smash. 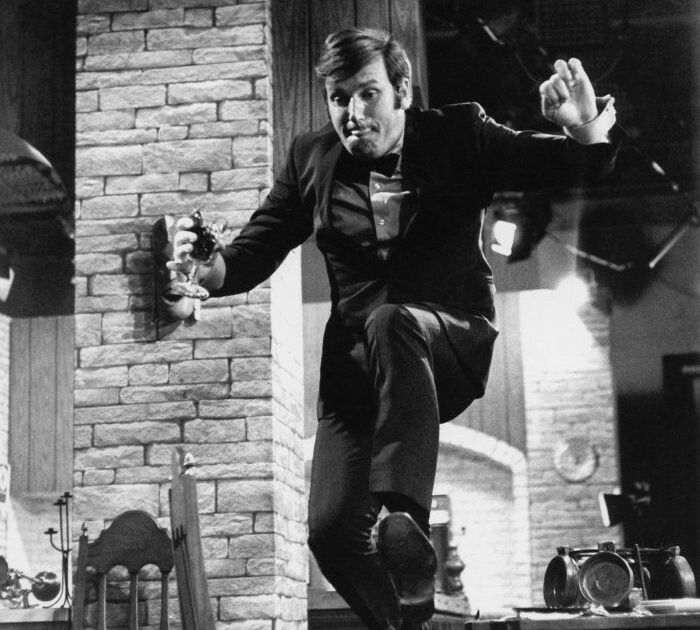 “The series was known for its lighthearted humour, tomfoolery and the copious use of clarified butter, cream and fat”, according to Wikipedia and Kerr would begin each show by running in and leaping over a chair in the dining room set. 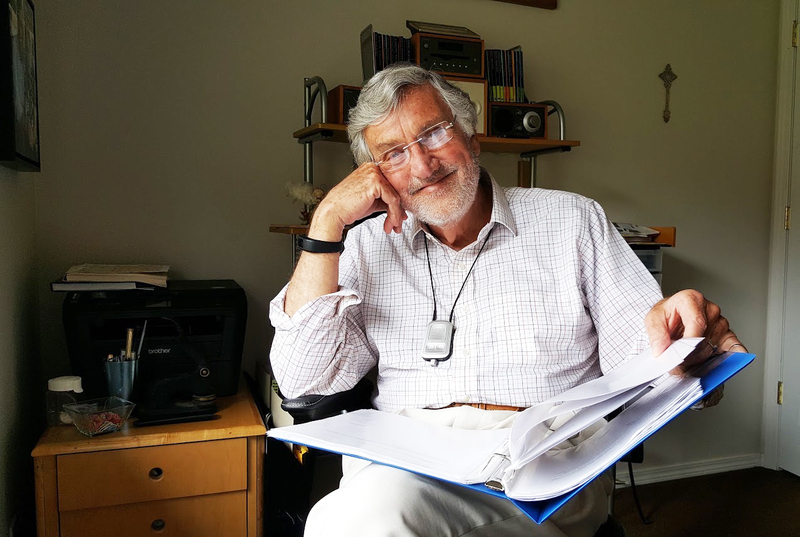 He published numerous cookbooks and later appeared in other shows including “The Graham Kerr Show” and “Graham Kerr’s Kitchen“, as well as other series. He is currently writing his 31st book titled, “Alone“. 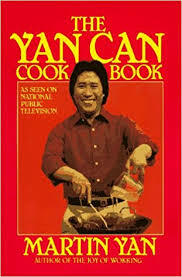 Martin Yan, born in China in 1948, hosted his award-winning PBS-TV cooking show “Yan Can Cook“, which commenced in 1982. He opened a chain of “Yan Can Restaurants” and founded the “Yan Can International Cooking School” in the San Francisco Bay Area. He also has more than two dozen cookbooks to his credit. 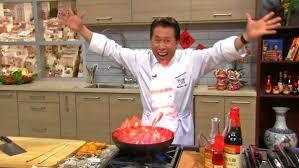 He hosts “Martin Yan – Quick and Easy” In addition, he has served as a guest judge on shows including “Hell’s Kitchen“, “Top Chef“, “Iron Chef America” and “Iron Chef Vietnam“. 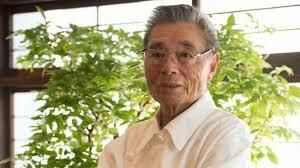 Rokusaburo Michiba, born in 1931, is a Japanese cuisine chef most notable as the first Japanese Iron Chef on the television series “Iron Chef” and appeared on the series from its beginnings in 1993 until his retirement in 1996. 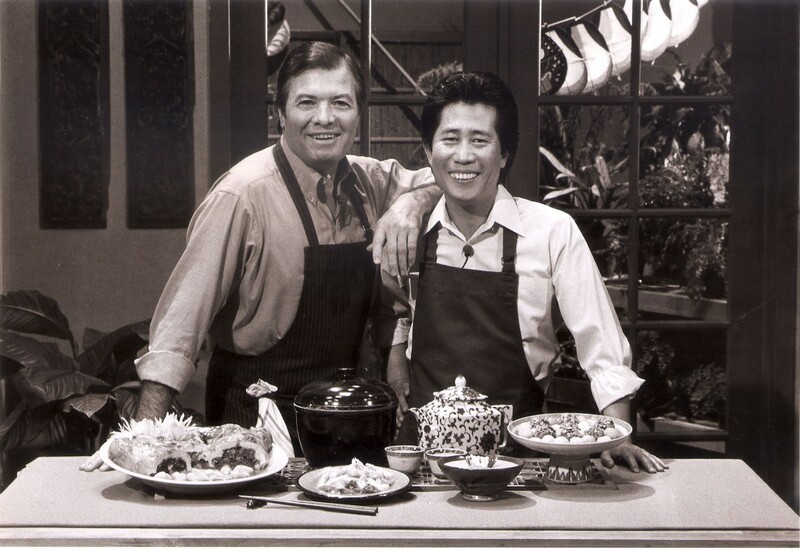 After his retirement as an Iron Chef, he continued to make the occasional appearance on the show. A special tribute “The Legend of Michiba“, was dedicated to him in 1996. 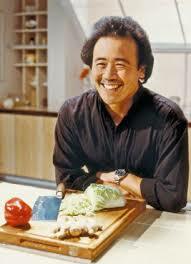 Michiba’s trademark item was his famous “Broth of Vigour“, which he featured in nearly all of the dishes he prepared for the Iron Chef series. 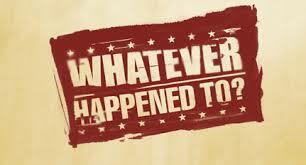 On a final note, perhaps one day we will ask “whatever happened to...” Susur Lee, Chuck Hughes, Roger Mooking, Gail Simmons, or Claudio Aprile? Perhaps they are sitting comfortably somewhere in The Great White North, counting their loonies! This entry was posted in baking shows, Collecting, Collections, Cookbooks, Cooking, Cooking and Social History, Food Trends, Guinness World Records, New Mexico, Uncategorized, Vintage Cookbooks and tagged Canada, Clarissa Dickson-Wright, cookbooks, Cooking, English Cooking, Fanny Cradock, French Cooking, Graham Kerr, Guinness World Record, Jennifer Paterson, Julia Child, Ken Hom, Madhur Jaffrey, Martin Yan, New Mexico, Rokusaburo Michiba, Simone Beck, Sue Jimenez, The Galloping Gourmet, Two Fat Ladies, Vintage Cookbooks. Bookmark the permalink. 1 Response to Whatever Happened to Fanny Cradock? Loved the Two Fat Ladies! Wish I could have ridden around with them! I’ll check out Fanny Cradock.